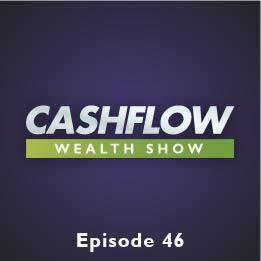 This week’s Cash Flow Wealth expert is Alan Williams from Money Mastery. Alan discusses money decisions you can make in order to improve your financial situation, getting out of debt and increasing your returns. Alan goes over his 10 Principles of Money Master and how your spending, borrowing, retirement savings, and tax paying ALL affect each other. Today’s Cash Flow expert is Zach Olson, founder of Bookly.co. Zach knows that nobody started their own business in order to be a bookkeeper, so he attempts to help you through the first steps to getting prepared to hand off the bookkeeping. There’s an opportunity cost to everything in life, so are you maximizing your return on investment? You need to figure out what type of company you’re trying to create in order to understand your KPIs (key performance indicators) and what dangers taking a DIY approach can create. Today’s Cash Flow expert is Garrett Sutton, a Rich Dad advisor and author of Loopholes of Real Estate. Garrett is an attorney with over 20 years assisting individuals and businesses determine their corporate structure and protect their assets. In this 2016 Cash Flow Wealth presentation, Garrett covers the 4 types of people who have led us in to our litigious society, how to identify them, and how to protect your business from threats both inside and out. Listen in to learn the key element of asset protection when using LLCs and LPs and the 8 corporate formalities! Today’s Cash Flow Wealth expert is Jason Hartman, founder of www.JasonHartman.com. Jason runs a SWOT analysis (Strengths, Weaknesses, Opportunities & Threats) on income property. As an investor you need to embrace the fragmentation that is real estate. The fragmentation creates an imperfect investing platform, which allows for greater returns. Commercial real estate investors are willing to accept lower returns, which leaves investment opportunities for the average investor like yourself. Today’s Cash Flow Wealth expert is Beau Flowers, CEO of Lone Star Asset Management. Beau discusses how money is made in the oil and gas industry, and where most of the money is made. He explains where you can find low risk ways of making high returns and how, not only that, but you can do it in the best tax benefit investment on the planet. Today’s Cash Flow Wealth expert is Mike Mauceli, founder and CEO of Reef Oil and Gas. Mike explains the exact type of people you need to put on your team if you’re going to be drilling a well, as well as the differences between conventional and unconventional wells. He also identifies the sleeping giant in the oil world, why oil and gas won’t be replaced by wind and solar, and the 3 primary areas Reef operates (and why they’re important). Mike then explains how investing in unconventional reservoirs is like investing in real estate.